Since a new Next store opened up the road from me, I’ve spent many a happy evening browsing the racks to bulk out my wardrobe – and my kitchen! 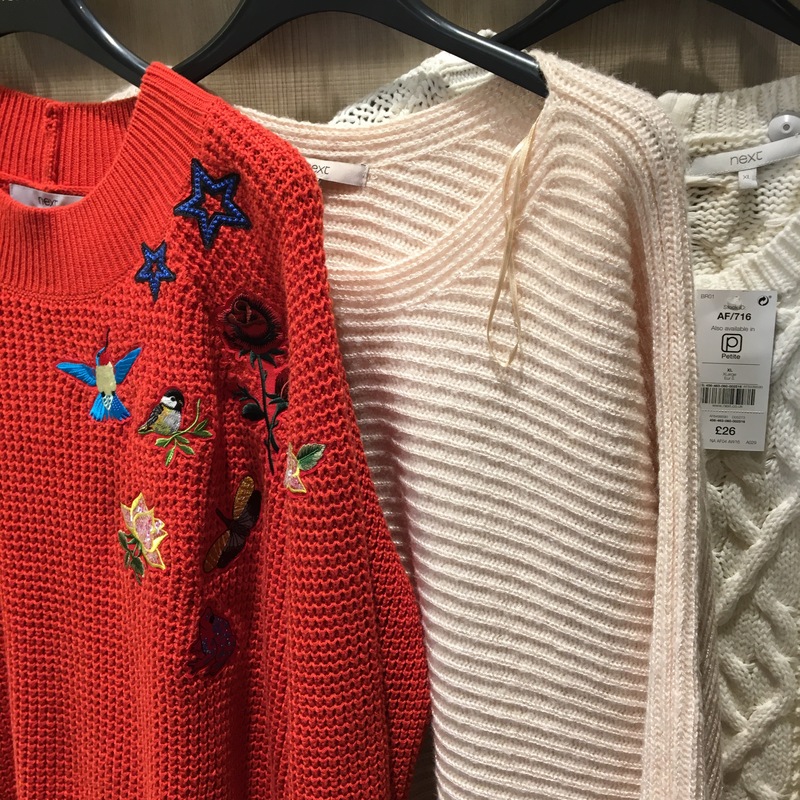 Next have some great on trend knits this year – I especially love these three! And who could resist a cute doggo?! 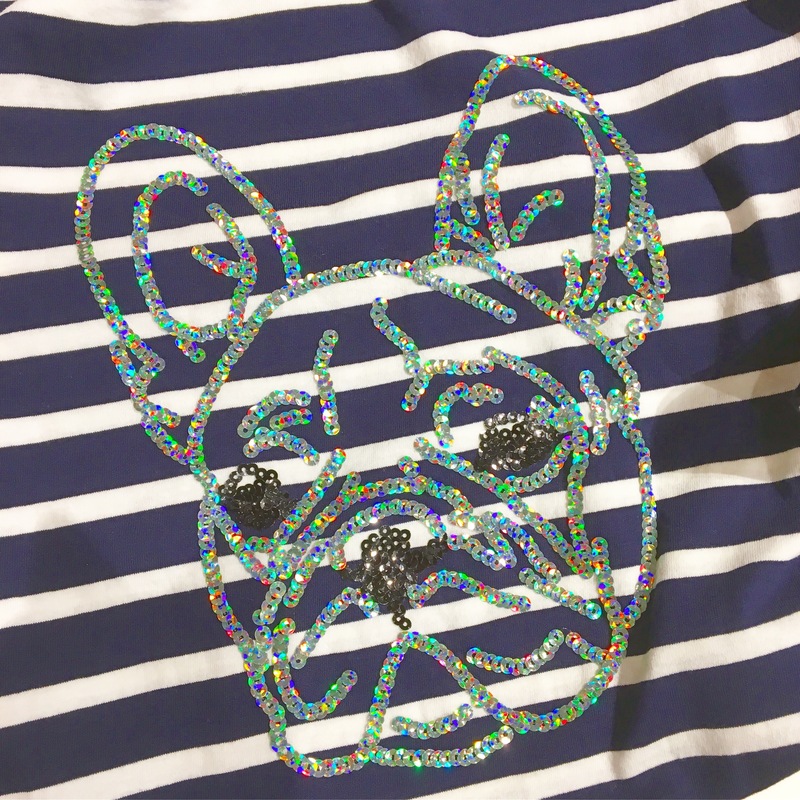 I am loving all the Boston terrier / pug merchandise around at the moment (pro-tip, upwards ears are usually Boston terriers or French Bulldogs, downwards ears are pugs. 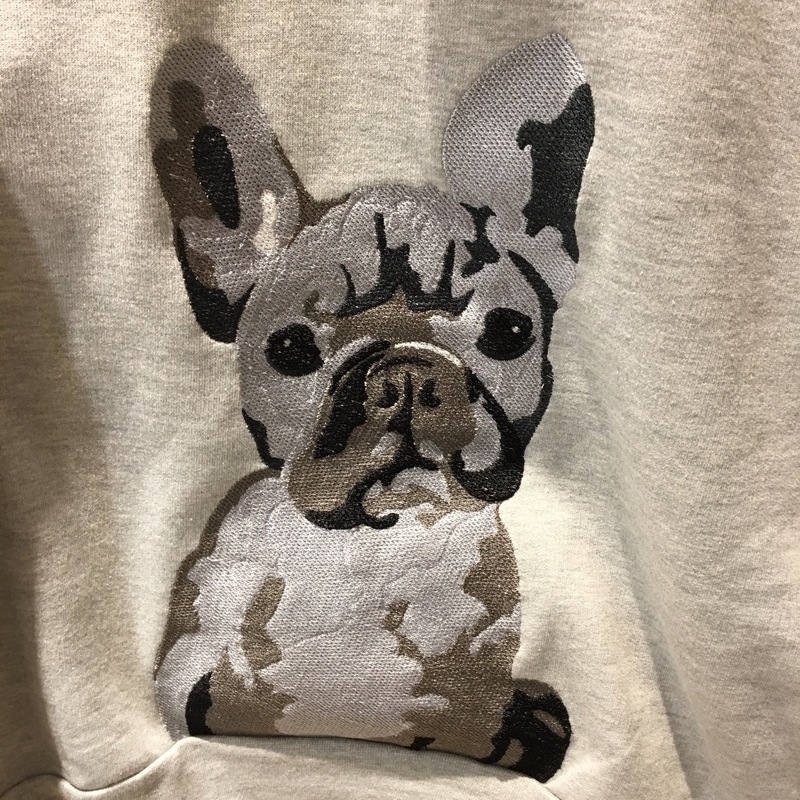 I would like a French Bulldog please, Santa!). 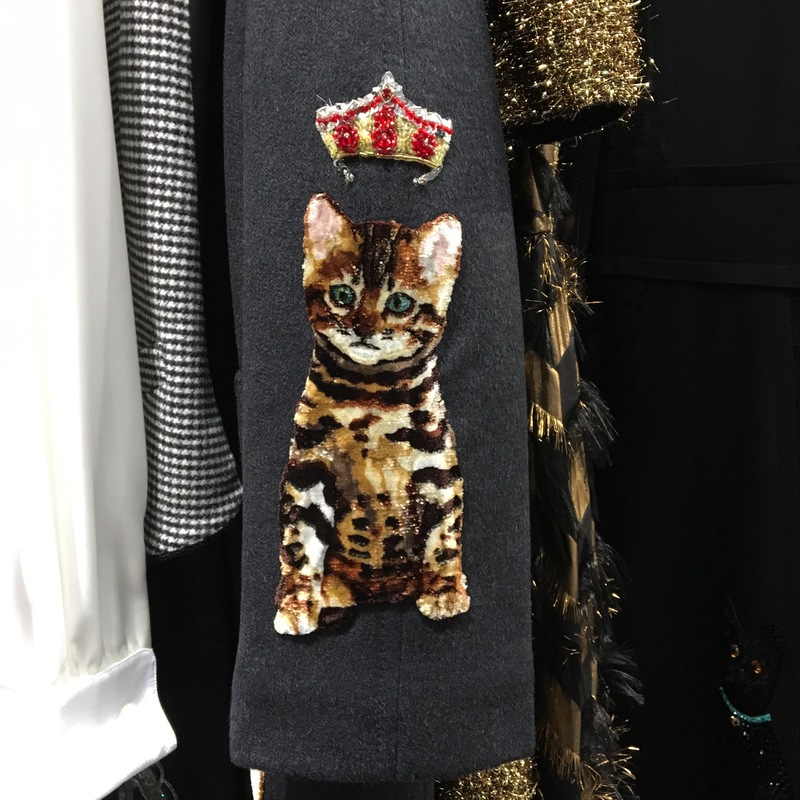 I *had* to snap up this adorable J. Crew x Net-A-Porter Breton top in the Regent Street store when I saw it! 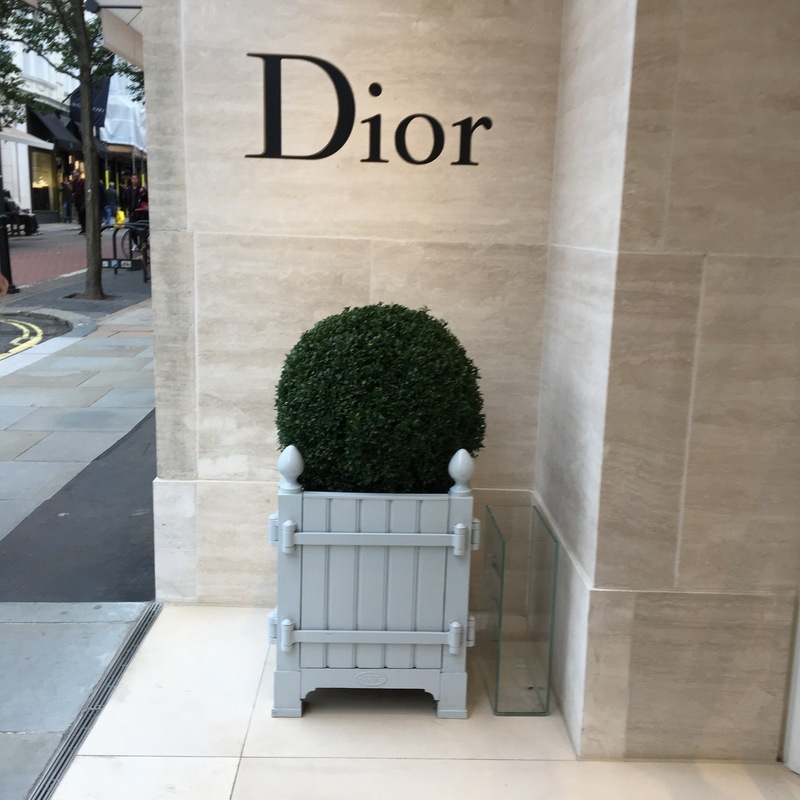 I’ve found myself in London a lot recently for work, and luckily I’ve had plenty of time to window shop, too. My favourite place is rapidly becoming Regent Street, followed by a detour for Fortnums and a dash up to Bond Street. 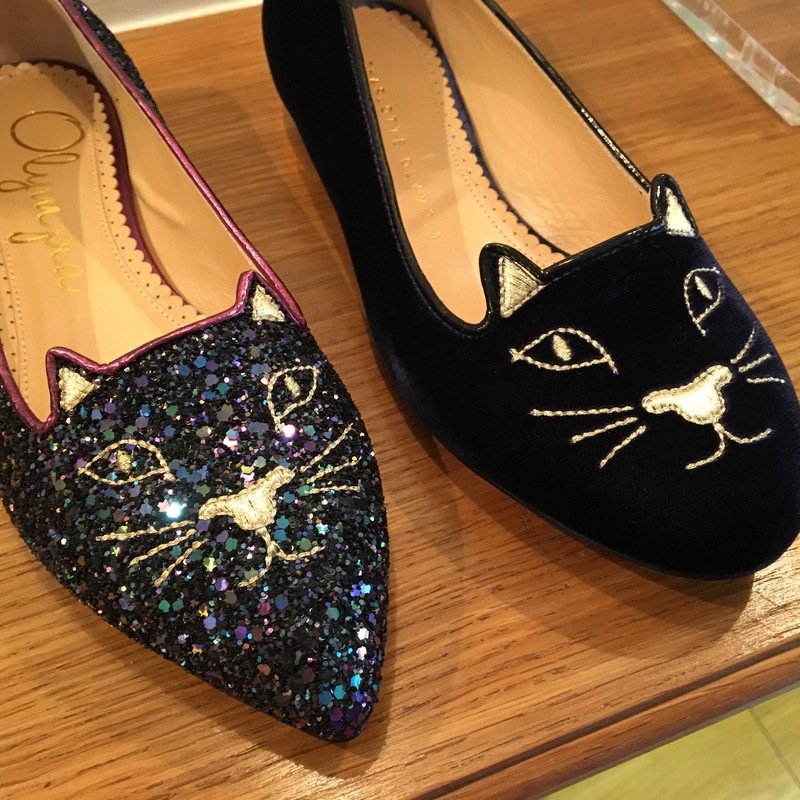 I’ve also resoled two of my favourite pairs of shoes – my kitty flats from Charlotte Olympia and my rose gold Ferragamo flats. 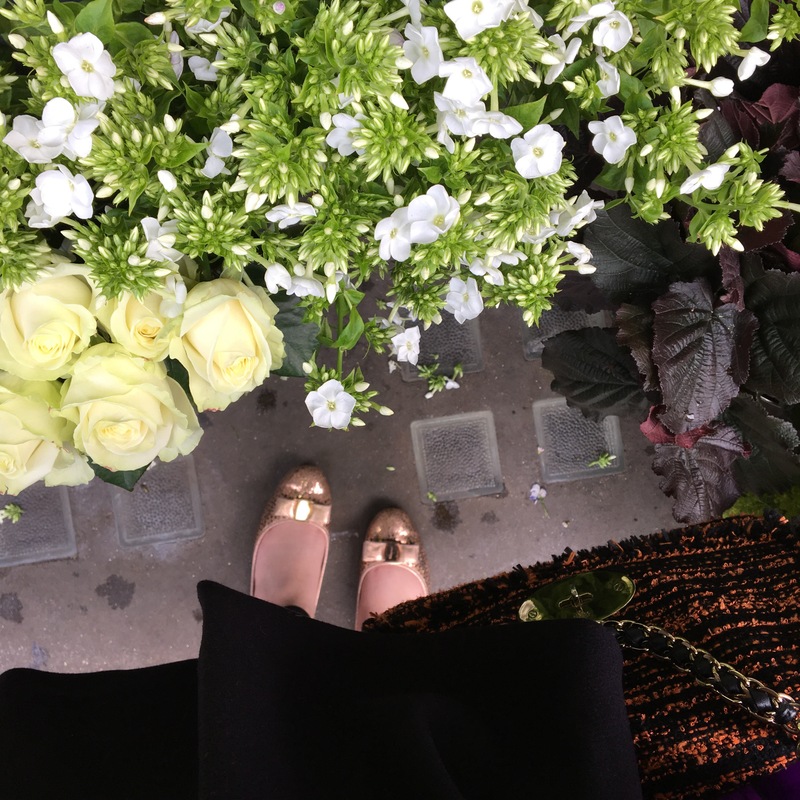 If you take your shoes into most designers they’ll send them off to be repaired for you – I prefer to go through the brands I purchased from to make sure everything goes smoothly, but it can be a huge hassle to get back into London to pick them up again! 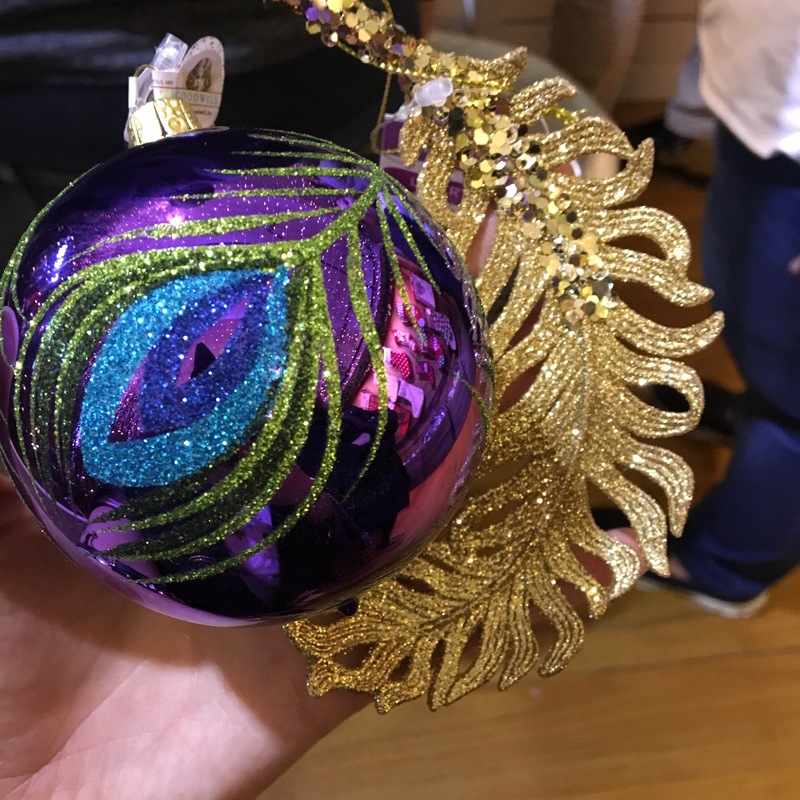 One of my favourite Christmas traditions is to pick up new decorations every year, especially ones that have a meaning or mark an occasion. My husband and I picked these up from Liberty’s Christmas floor when we visited during my birthday weekend – I love the fact that they accidentally matched even though we bought them separately! 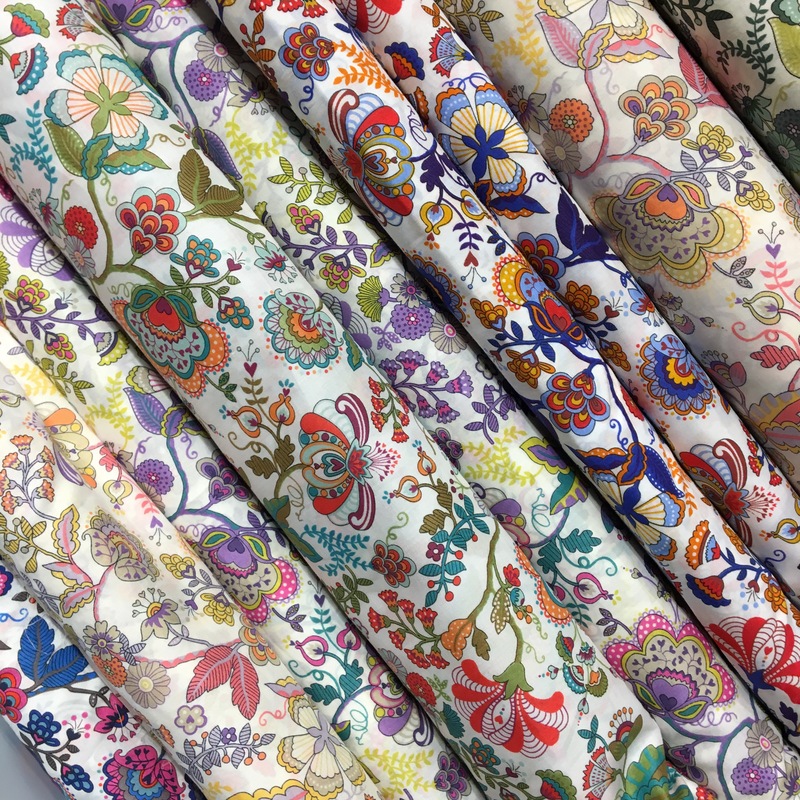 Of course, while you’re in Liberty’s, you’re obliged to look at their gorgeous fabrics – and if you’re me, curse yourself for never really learning how to sew properly! I’d love to whip these up into something amazing, but sadly I have no talent in that department! Another place I love to visit in London is Abeno Too, just by Leicester Square. It’s a tiny Japanese restaurant with tabletop cooking as a speciality. 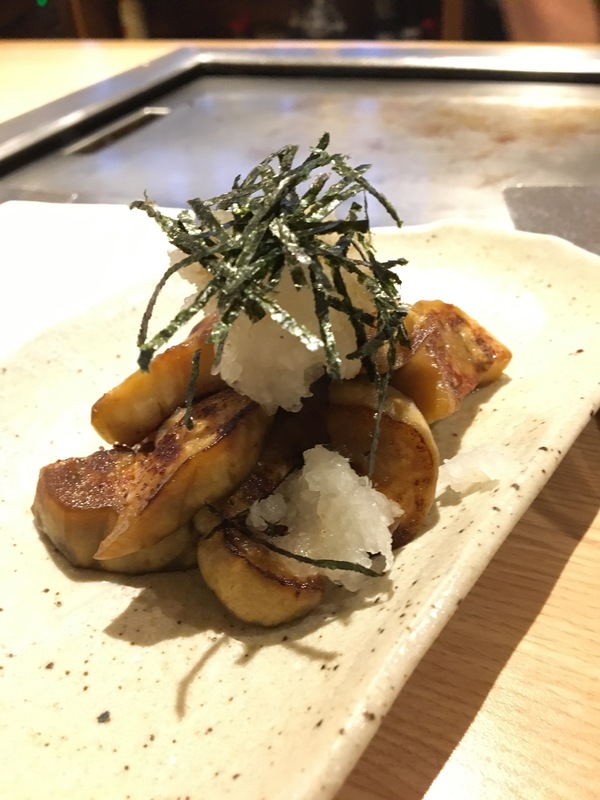 Okonomiyaki is the main dish, but you can get noodles and pancakes and even seasonal dishes like this gorgeous aubergine starter. If you’ve never tried okonomiyaki you have to go – it’s one of my favourite Japanese dishes and it’s so delicious! It’s a savoury batter heavy with cabbage and topped with a sauce that tastes a little bit like HP (but not exactly – I hate HP Sauce but I love this! It’s quite similar to tonkatsu sauce if you’ve tried that before), plus Japanese mayonnaise and seaweed and bonito flakes. It’s cooked in front of you on the hotplate, and it’s a fun and enjoyable meal out! 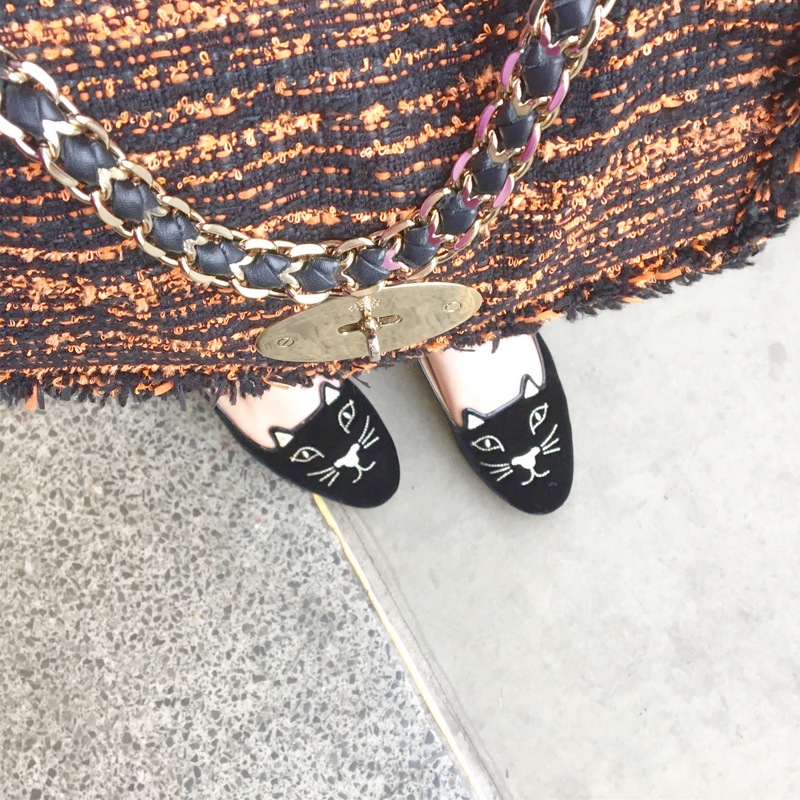 And, finally, these are the accessories I’ve been wearing non-stop! 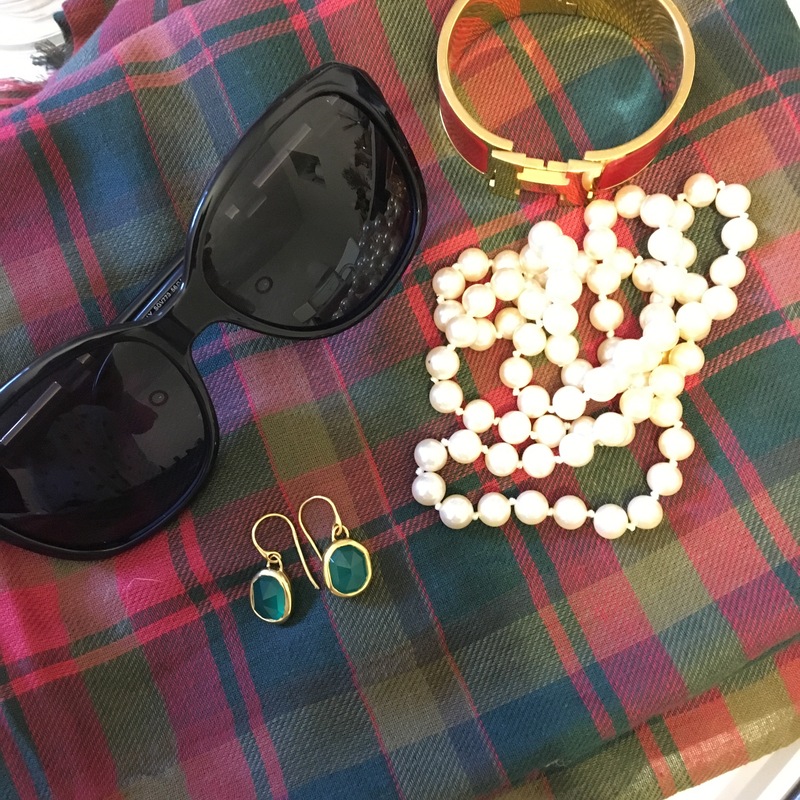 My Canadian tartan scarf from eBay, my past season Givenchy SVG 773 sunglasses, my Monica Vinader siren earrings that I got for this birthday just gone, my vintage Japanese pearl necklace my parents got me for my 30th birthday, and my beloved Hermès enamel bracelet. Believe it not, this is rapidly becoming one of my best value items if you break it down to cost per wear – it’s been on my wrist non-stop since I got it!